Auckland Transport has been promising to draft grass verge (berm) planting guidelines for some time. The guidelines are needed because there is a lot of interest from people who would like to make use of the berms outside their homes for more than just grass. Private plantings have the potential to benefit neighbourhood streets but can also cause issues. Unfortunately, as reported today in the Central Leader, the first draft of the guidelines prepared by Auckland Transport and shared with Local boards for comment are effectively a ban on private plantings. A number of Local Boards led by Puketapapa and Waitemata have been working together to provide feedback on guidelines that are excessively restrictive. Here is the Waitematā Local Board feedback available on the board’s October agenda explaining exactly why AT needs to start again with the guidelines. Requests Auckland Transport report on progress to the Board’s February 2015 meeting. Auckland Transport has now prepared a draft approach to berm planting “Guidelines for Private Planting in the Road Corridor” (the guidelines). The guidelines have been considered by the Auckland Transport Board’s Customer Focus Committee and has been approved for consultation with Local Boards. Under the draft guidelines, Auckland Transport (AT) proposes to allow some private planting in the road corridor, as a permitted activity, where it meets certain specifications. Plantings can only be undertaken by the adjoining landowner on the “back berm” immediately adjacent to their property (and only to a height of 600mm). Low-level planting (defined as under 300 mm in height) may be undertaken between adjacent vehicle crossings or around mail boxes and street trees providing it does not encroach onto the footpath and does not exceed a total area of 2m². Applications for approval will need to be made for planting that does not comply with the guidelines, and this will be considered on a case by case basis at the discretion of AT. An application fee of $150 (including GST) will be payable to Auckland Transport to cover the cost of assessing the application and, where appropriate, issuing the approval to plant in the road corridor. If the application is declined it is proposed the fee will be refunded. will have the opportunity to rectify situations where non-complying planting is proposed to be removed by AT. fruit trees can encourage vermin (when the fruit falls). A workshop with the Waitematā Local Board to discuss the berm planting guidelines was held on 1 September 2015. 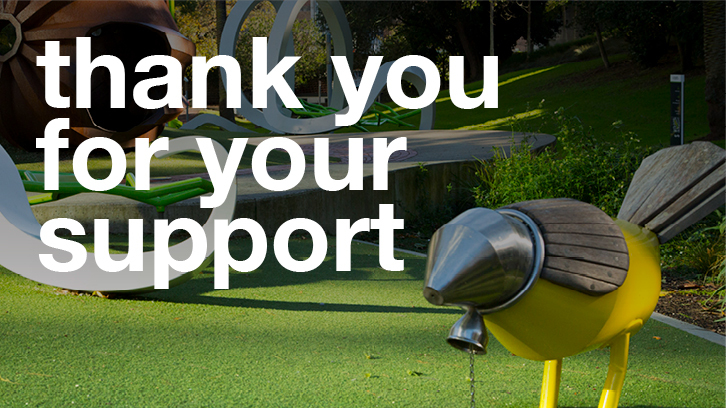 AT requested feedback on its draft guidelines by 30 September. On 8 September the Waitemata Local Board delegated feedback on the draft guidelines to Transport portfolio holders Pippa Coom and Christopher Dempsey and member Greg Moyle (Resolution number WTM/2015/132). The Waitematā Local Board joins a number of other local boards in expressing concern that the response by Auckland Transport to community interest in berm planting has been based on an excessively restrictive rather than an enabling and empowering approach. The information presented by AT does not recognise the significant benefits of berm planting, which have repeatedly been pointed out by local boards to AT and also through the Community-led Placemaking Champions group. People wish to undertake berm planting to enhance the amenity of their neighbourhood, connect with neighbours, create bee-friendly environments, grow and share food. Allowing, rather than restricting, these aspects of berm planting should be central to this policy and its practical implementation. The Board is opposed to the licensing framework proposed in the draft guidelines, which creates a barrier to people’s sense of connection to their local streets and fails to recognise that, despite Council being the legal owner of the berms, the responsibility of maintaining grass berms adjacent to properties now rests with the owners or occupiers (with some exceptions). The board seeks to take a more enabling community approach where use of the berm is supported as much as is practically possible. Currently there is a very limited scope in terms of permitted activities. For example private planting is only allowed on “back berms” and must be small inedible plants. This is far too restrictive a measure. It is in complete opposition to the view of the board, which seeks to promote the use of public open space for appropriate activities such as creating bee-friendly corridors. A large portion of existing berm plantings would likely require licenses or not be permitted under the proposal, despite no evidence to date of any harm or problems as a result of those plantings. In older parts of Auckland like the Waitematā area very few properties have “back berms” further limiting what is permitted, even with approval, under the guidelines. The board supports a more effects-based approach, which seeks to avoid or mitigate the adverse effect of private planting in the berm. Some of the potential hazards are included in the draft document e.g. noxious weeds, potential missiles/impalement hazards and impairment of sightlines. The effects of edible plants and trees could be described in terms of their potential tripping hazard from fruit drop and root intrusion (and the need to ensure soil is not contaminated outlined). These effects can then be avoided or mitigated with measures such as root barriers when needed and a commitment to keep the footpath clear of organic debris. Auckland Transport could support communities with the above approach by encouraging utility agencies to make asset maps available so people can determine the proximity of services in their berms. If it is not possible to undertake this comprehensively, then it would be advisable to do this work whenever a berm is dug up by utility agencies, so that we can progressively build up maps over time. If Auckland Transport decides to continue with this licencing regime, the board requests a change in emphasis. A higher threshold for licensing would minimise the barrier to people’s engagement with public open space and recognise that, with the end of berm mowing by Auckland Transport, many residents feel a sense of ownership over berms adjacent to their own property and other properties in their neighbourhood. If there is to be a licencing approach then that should apply to a small minority of the total number of berm plantings, and in exceptional circumstances, rather than being the default. Only in exceptional circumstances should the consent of landowners either side of the “subject property” be required as part of an application process. Further if a licensing fee is imposed, even at a higher threshold, the board considers $150 licence application cost far too high. By applying for a licence the applicant is showing commitment to compliance, so it is unreasonable to put a financial barrier in the way. The draft guidelines do not outline how Auckland Transport proposes to deal with berm planting that currently don’t meet the guidelines. For example is AT proposing to accept retrospective applications? 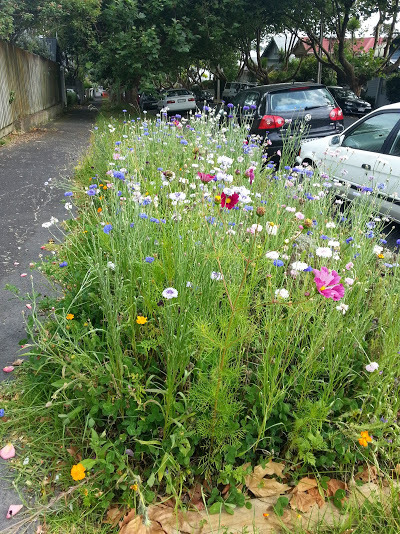 The attached photos show a sample of berm planting in the Waitematā area that would be considered non-compliant under the draft guidelines even though these plantings enhance and support placemaking. There is a high risk of AT creating unnecessary neighbourhood conflict and administrative costs if the draft guidelines are implemented. While the board recognises the role of berms in allowing access to services, it considers that utility agencies should notify neighbours if private planting is to be removed. This could be as simple as dropping a flyer in the letterbox to notify the adjoining resident, which is not a burden on the agency and should be encouraged as good practice in general. As local boards have decision-making responsibility for local place-shaping activities the role suggested for local boards in the guidelines is not appropriate. Local boards should be in a policy role as governors instead of signing off – on individual disputes. Auckland Transport has the ability to delegate not only decision-making but policy development on this issue to local boards and it is disappointing AT has chosen not to do so in this case. If a licensing regime is implemented Local Boards should be advised of all licencing applications, not just those that were recommended for approval by Auckland Transport. The guidelines need to outline the process local boards will have to undertake when confirming applications or rectifying situations of non-complying planting. The board also notes, with disappointment, that neither Local Board Services nor Auckland Council’s operation division have been involved in development of this response from AT, despite the proposed regime impacting on both these parts of Council. The Waitematā Local Board supports the provision of guidelines for berm planting but considers that these should take an empowering communities approach where use of the berm is supported as much as is practically possible.